Click the banner below to listen to this interview on demand. 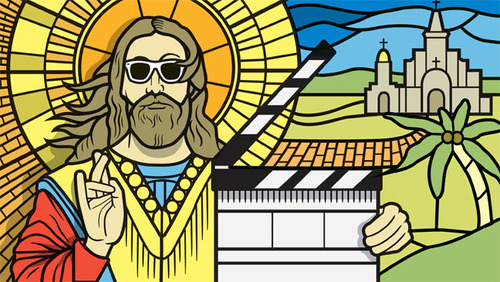 The Christian Science Monitor published an article called "Hollywood's next big thing: religion," what do you think about when you hear that Hollywood is specifically interested in making movies for you as a Christian? Can you think of movies that you enjoyed that had Christian themes? Or maybe some of those times where you were left cringing? Check out the article in the Christian Science Monitor and listen to this interesting interview with Pastors Todd Wilkens and Ted Giese. Interested in movies, and thinking about them from a Christian perspective? You might enjoy attending an online course offered by Concordia Lutheran Seminary Edmonton, follow the link to find out more, you can jump in at any time and you don't need to be a seminarian to join in.